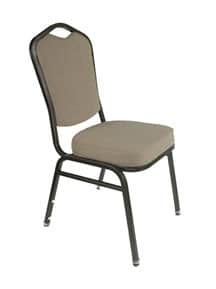 ChurchPlaza provides high-quality church chairs in a range of styles, including stackable or folding, multipurpose, banquet, and pew chairs. 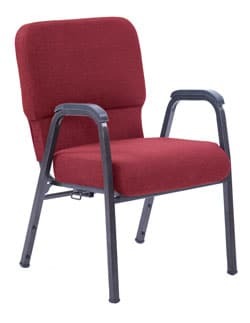 The Jericho PewChair™ chair is America's lowest priced, quality built sanctuary chair with all the comfort and durability you want and expect from your church seating. The Jericho Arm Chair includes all the features of the Jericho PewChair, plus supportive chair arms for maximum comfort. 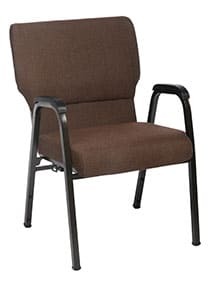 The Genesis PewChair is America's great church chair value providing exceptional comfort, generous surface area, highest grade components and backed by ChurchPlaza’s best-in-industry warranty and reputation. 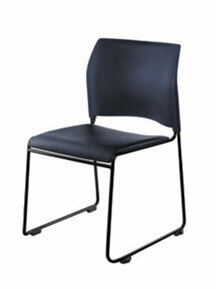 The Genesis Arm Chair provides extra support with sturdy chair arms. 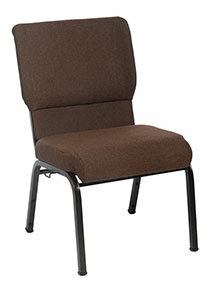 This affordable chair is a smart investment for your church! The Joshua Contour Chair is America's best value in an extraordinarily comfortable, enclosed contour back sanctuary chair utilizing PolymerTough™ technology to achieve lighter weight and exceptional durability. The Joshua Contour Arm Chair contains all the luxury of the Joshua model with the added bonus of chair arms. 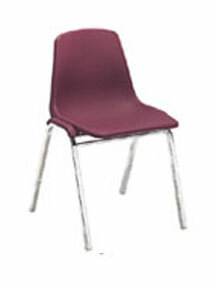 Browse our complete line of comfortable and supportive arm chairs. These chairs come with all the standard ChurchPlaza features, plus chair arms to enhance the seating experience! 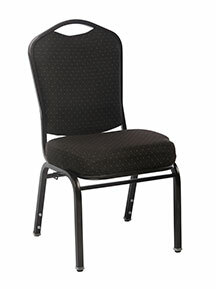 A comfortable, multipurpose chair at home in both the sanctuary and the banquet hall. 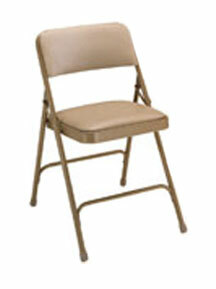 America's best value in durable and comfortable multi use stacking chairs. Includes upgraded self-leveling floor glides, at no additional charge. Perfect for cafeteria, auditorium, conference and lecture hall seating, this exciting design will dress up your facility, and is robust enough to last and last. An attractively designed low-back stacker is very attractively priced! This dome back chair is built to fit any use - classrooms, dining halls or fellowship halls - at a price that fits your budget. 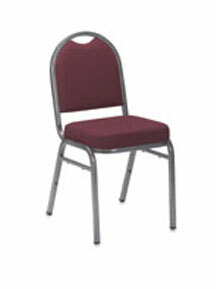 These attractive banquet chairs add upscale ambience to any setting. This stylish Silhouette stacker features a concealed doubleback. 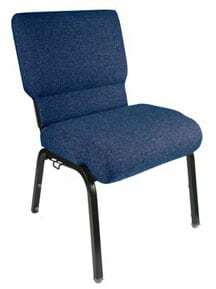 Our church chairs come in a variety of sizes and prices, along with traditional and contemporary styles that can be used for worship or fellowship activities. 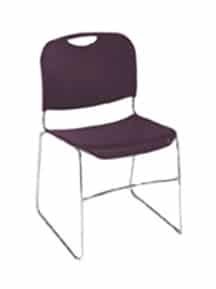 Some models include additional features such as contoured back for extra lumbar support, optional chair arms for added comfort, or built-in ganging clips that allow chairs to be interlocked for straight rows of seating. 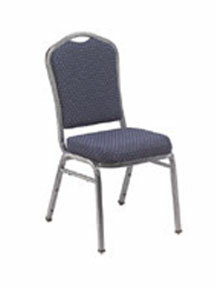 Fully customize your chairs with an assortment of frame and fabric options. 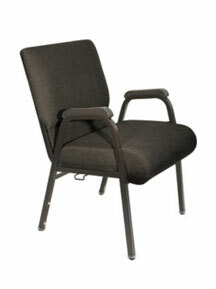 For churches with urgent seating needs, we offer Quick Ship chairs available for immediate shipment. ChurchPlaza has earned the endorsement of 45 national denominations, fellowships, ministries, and/or their publishing houses. You can expect quality, value, and trustworthy service from our team! 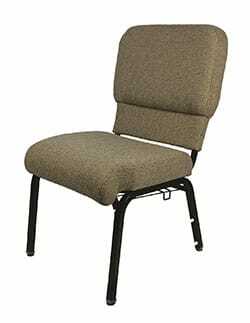 Browse our selection, or request a free sample chair in the model of your choice to see why ChurchPlaza has been the definable standard for church chairs in America.